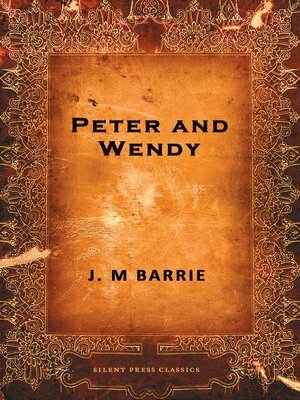 Peter and Wendy is J. M. Barrie's most famous work. It's also known as Peter Pan. It started out as a play in 1904 and in 1911 was published as a novel. It tells the story of Wendy Darling, her brothers and their adventures with Peter Pan and his gang of Lost Boys in Neverland. Peter meets Wendy as he listens to bedtime stories outside of her London home and invites her to come to Neverland to be a mother to his Lost Boys. She and her brothers go and have many adventures. They also meet Peter's sidekick, Tinkerbell the fairy, and his enemy--Captain Hook. Peter Pan has been adapted to the stage and screen many times and is a children's classic.